Paul Dean’s first year will also be his last as Lady Leopard coach. After coaching the Lady Leopards to a conference championship and record of 28-4, Dean is resigning at De Queen to accept the senior girls coaching position at Nashville. His hiring was approved by the Nashville School Board at its meeting on Monday, April 8. He reached a decision on Sunday and informed officials at both schools on Monday. Dean will finish the school year at De Queen then make the move east this summer. In addition to basketball, he will also be the senior girls track coach at NHS. His decision essentially came down to what felt right. “I love it here. The players, the community. There’s great support from the community. 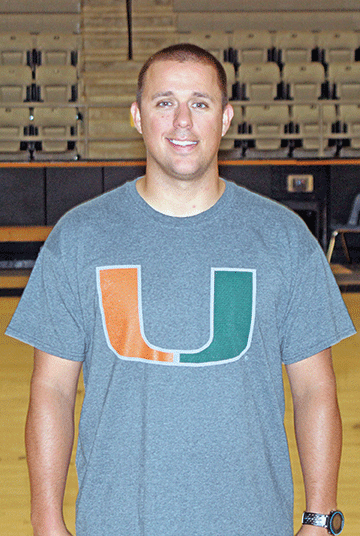 Coach (Bret) Burgess does a first rate job preparing girls to play in senior high. The church (De Queen Church of Christ) is wonderful here. A lot of things make it hard to leave. Somehow word of Dean’s departure leaked before it was official. “I didn’t want to say anything until the board meeting. People were talking about it Monday. It was out and it wasn’t even a done deal,” he said. Dean’s appointment ends weeks of speculation that began right after the end of basketball season. After an undefeated season, Nashville junior girls coach Laura Kidd announced her retirement. Shortly after that, Ron Alexander, who has been the Nashville senior girls coach for 19 seasons, resigned the coaching position to become the school district’s maintenance director. With most of the line-up returning from the senior team that finished second to De Queen in the 7AAAA conference, plus a highly talented ninth grade class moving up, coaching the Nashville senior girls holds the prospect of instant success. The position was highly sought. Nashville officials decided Dean is the best choice for job. “The reason for that is De Queen. It is really a testament to the players, based on the success the team has had,” said Dean. Scrapper backers will be expecting wins from the start from Dean. He said this is not different from what he feels for himself. “You have high expectations for what you do. You do it to the best of your abilities,” he explained. Dean is not leaving De Queen with the cupboard bare. Three starters and two key subs will return from the 28-4 team. “There’s also a pretty talented group of ninth graders moving up,” he pointed out. The coach noted that he and his family have made a large number of friends in the community in his year at De Queen.